The Supreme Court in a landmark judgment held that that no copyright subsists in the title of a literary work and a plaintiff or a complainant is not entitled to relief on such basis except in an action for passing off or in respect of a registered trademark comprising such titles. The Hon’ble Apex Court was considering a criminal appeal preferred by Krishika Lulla and others against the order of Bombay High Court refusing to quash a complaint and process issued under Section 63 of the Copyright Act, read with Sections 406 and 420 of the Indian Penal Code, 1860. The complainant Shyam Vithalrao Devkatta, had written a story with the title “Desi Boys” and had got the synopsis of the story registered with the Film Writers Association on 25.11.2008. When a friend, one Ramesh Bhatnagar, told him that a comedy film story is required by the son of a film Director, David Dhawan, he mailed the concept of the story in the form of a synopsis as an attachment to an email addressed to Ramesh Bhatnagar on 14.10.2009 with the words “Dear friend, just see the attachment.” Ramesh Bhatnagar forwarded the story, calling it “just an idea” by email to one Ahsan Sagar on 15.10.2009. What was forwarded was apparently the same short synopsis of the concept with the title “Desi Boys. Having done so, his friend Ramesh Bhatnagar did not receive any reply but, suddenly the complainant saw the promos of a film bearing the title “Desi Boys”, actually spelt as “Desi Boyz”. According to him, the adoption of the title “Desi Boyz” is a clear infringement of the copyright in the film title “Desi Boys”. In India copyright is a statutory right recognized and protected by The Copyright Act, 1957.By virtue of Section 13 of the Act, copyright subsists in original literary, dramatic, musical and artistic works; cinematographic films; and sound recording. The Court observed that a title by itself is in the nature of a name of a work and is not complete by itself, without the work. “A title does not qualify for being described as ‘work’. The combination of the two words ‘Desi’ and ‘Boys’ cannot be said to have anything original in it. They are extremely common place words in India,” the Court said. The same question arose earlier in Kanungo Media (P) Ltd. v RGV Film Factory & Ors., reported in (2007) ILR 1 Delhi 1122, where the Court declined injunction against the defendant for using the brand name and title “Nishabd” alleging similar to the film of the plaintiff therein. 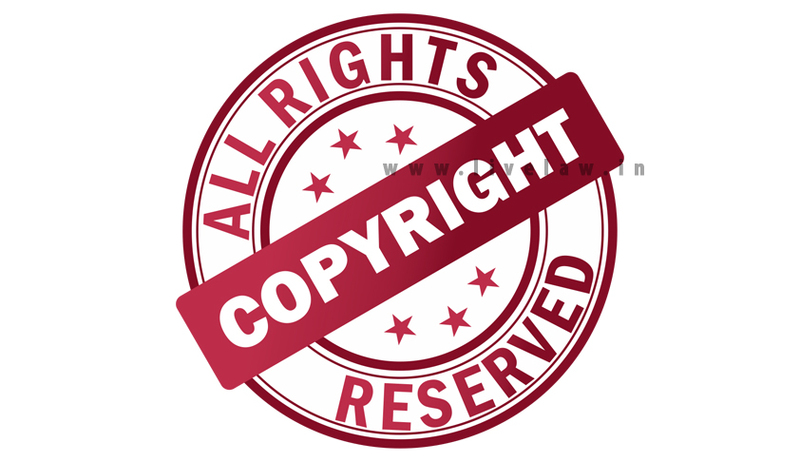 It was observed in the said case that if a junior user uses the senior user’s literary title as the title of a work that by itself does not infringe the copyright of a senior user’s work since there is no copyright infringement merely from the identity or similarity of the titles alone. Recently,in R. Radha Krishnan v. Mr. A.R. Murugadoss & Ors., reported in 2013-5-L.W. 429, the Madras High Court followed the decision of the Delhi High Court in the Kanungo Media Case and rejected an injunction for restraining the defendant from using the title of the plaintiff’s film ‘Raja Rani’. The Madras High Court considered various other decisions and held that the words ‘Raja Rani’ are words of common parlance which denote the king or the queen and cannot be protected under the law of copyright. The Apex Court also added that, though infringement of copyright in such a title is untenable the protection by registration as a trade mark may be available, provided, the title is sufficiently distinctive. “The appropriate remedy in such cases will be an action for passing off,” said the Court.